The last pic I took of my dad is one I'll never share. It comes up every so often when I'm searching for an image or on my screensaver and stops me in my tracks. Not because it makes me sad but because it is so surreal. Lying peacefully under a dark blanket, empty flower stands, an empty couch, empty chairs… on a gurney next to a pink curtain. The whole room felt pink. How is that possible? That's not him, just his shape and barely that after the previous six months. The next pic is that same room but packed, full of his friends and family… everyone is smiling! It's truly incredible. So much love. I prefer to remember him from all the happier moments, like the one above from Thanksgiving. 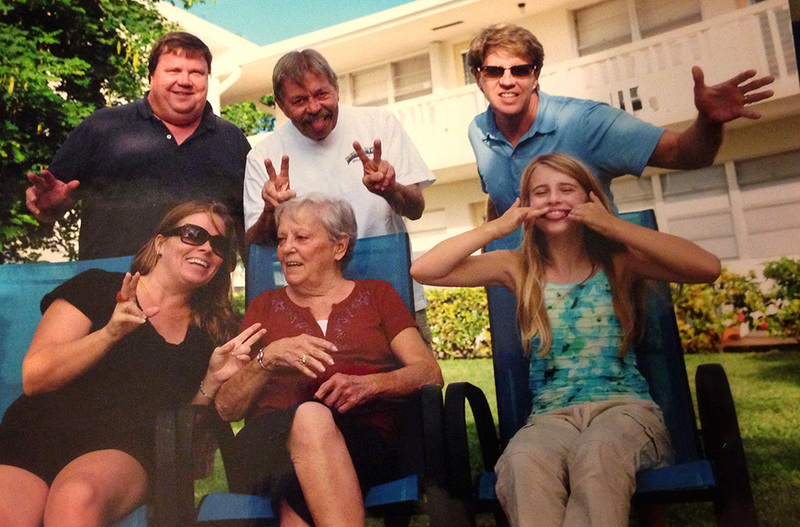 We were all together in Florida for Mom and Dad's 50th... goofin' for the camera, laughing and enjoying the sunshine. He loved the sun. I have vivid memories of childhood and then some - from every ski trip to Crystal and Boyne to summer vacations along the shores of Michigan. The time my brother got a new skateboard and I inherited his old wood one. Dad and I in the garage painting it red white and blue. He loved the Stars and Stripes. He loved his boats too - from l'il Joe to Fido Dido and everything in-between - and all the amazing fish that came from those boats! Fried up in the cast iron skillet on the grill with those thinly sliced potatoes. I can still taste it. His vette! The MG's. The time he brought home that gold pinto mustang and I refused to drive it, “Dad, that's not a Mustang". What a brat. Every Saturday afternoon spent at HoJo’s - some sport or another on the TV, a bowl of fried clams, a Shirley Temple and Dad. He was the first one to make you laugh and the first to fall asleep, no matter where he was. There’s a pic somewhere which I can’t find right now - a lounge chair with a “reserved for Jay” sign on it - I think he was sound asleep already. He didn’t care, when he wanted to nap he napped! 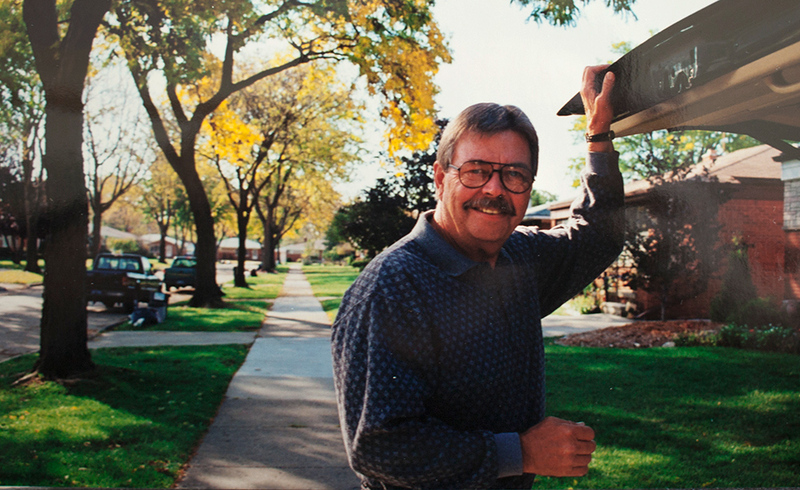 Dad loved Michigan State and I always knew how they fared in any game they played. If they won, the phone rang soon after the win. If they didn’t, I’d find out Sunday morning. I miss my Sunday morning phone calls more then anything. Today is a big day for MSU, I know he’s gathered around a TV with his friends, drinking MGD (or maybe Heineken, it is a big game!) and cheering on Izzo. There’s butter pecan ice cream, homemade chocolate chip cookies and milk on the table for ya… Happy Birthday Dad… I’ll listen to your voicemail after MSU wins today. Go Green!